Finding out you’re pregnant when you’re not expecting it can be a shock. You might be scared, confused, or excited. However, there are always a few things you need to do when you find out you’re pregnant. The first and biggest piece of advice is simply not to panic or stress out. Of course being pregnant is a big deal, but you need to stay calm and collected to handle it. Panicking will only make it harder for you to deal with the situation. 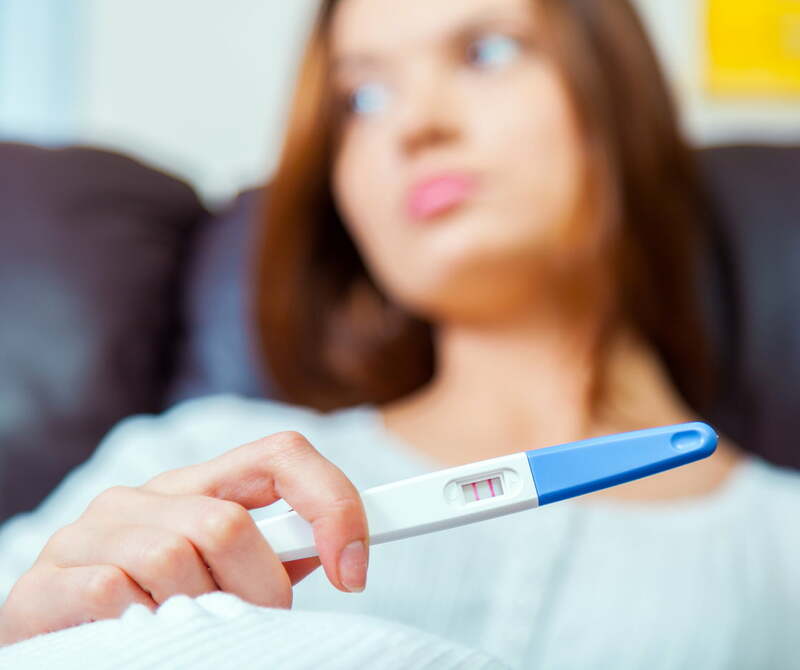 If you have only taken a home pregnancy test, your next step should be to take a test administered by a licensed medical professional for verification purposes. If your verification test is also positive, you should schedule an ultrasound to make sure your pregnancy is viable and to approximate your conception and due dates. It’s natural to have many different feelings when you find out you are pregnant. This is especially true if you weren’t planning for a baby. When this happens, make sure you don’t deny or suppress these feelings. Allow yourself to express whatever you’re feeling. It doesn’t matter if those feelings are fear, disappointment, anticipation, confusion, or excitement. You can’t deny them or pretend they aren’t there. Holding them in and bottling them up will only make you feel worse. One common mistake many women make in early pregnancy is telling lots of people, or telling people who can’t be trusted to keep it secret. An unfortunate truth is that many early pregnancies end in miscarriage, and spreading the news too far could result in uncomfortable situations later on. You may also be considering different pregnancy options including adoption placement or abortion, and if you tell lots of people you may feel the need to explain these choices. That’s why it’s important not to tell people who will tell others, or who will immediately start pinning hopes and expectations on you. Instead, look for support from your trusted friends and family, and don’t feel bad for keeping it from anyone else. If you weren’t planning to become pregnant, you have several options for what to do next. You can become a parent and care for your baby yourself. You can become a birth mother and start looking for an adoptive family. You can consider abortion. Each of these options has its advantages and disadvantages, and only you can decide which one is right for you. Our compassionate volunteer staff can help you learn more about each option and which is the best for your situation. It’s common for women facing an unplanned pregnancy to feel trapped or like they don’t have any options. We can help. To learn about your pregnancy options, and to talk to someone who will listen without judgment, contact us today.